Solid beverage refers to solids made up of sugar, milk and dairy products, eggs and egg products, fruit juices or edible plant extracts, and added with appropriate amount of excipients and food additives to produce no more than 5 grams of water per 100 grams of finished product. product. Vacuum freeze-drying can well maintain the color, aroma, taste and form of food, making it a very important part in the processing of solid beverages. Shi Yuyin et al carried out research on the process of freeze-dried instant green tea powder. The product obtained by the best process has luster and can be dissolved in cold water. The soup color is clear and transparent, with original tea flavor and flat taste. 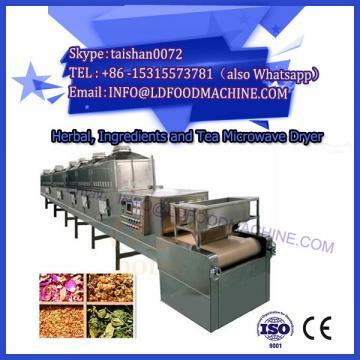 It has been found that the Pu'er instant tea powder extracted by vacuum freeze-drying technology has better brewing quality and quality. The soup color is clear and green, bright and fragrant, and the taste is fresh and thick. 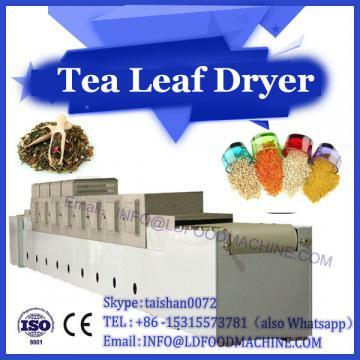 The instant freeze tea is made by vacuum freeze-drying technology. The color of the product is yellow and transparent, and the tea tastes thick and slightly sweet. Meng Xianjun et al. made a composite vegetable pulp mixed with fermented Lactobacillus bulgaricus and Streptococcus thermophilus into a solid beverage. The vacuum freeze-dried product has good fluidity, bright color and rich nutrition. The preparation process of blueberry juice solid beverage was optimized under orthogonal test. The product obtained by vacuum freeze-drying has unique flavor, sweet and sour taste, and better preserves anthocyanins and other nutrients. Chen Sanbao uses coffee powder as raw material, and the freeze-dried coffee slice made by hot water extraction and freeze-drying process has appropriate hardness, complete tablet shape, rapid dissolution, and better flavor and rehydration of instant coffee. Ye Kunhong and others in the development of quail egg protein solid beverages, found that the product treated under vacuum freeze-drying is powdery, light yellow, good solubility, scent of quail eggs, high protein, natural health. 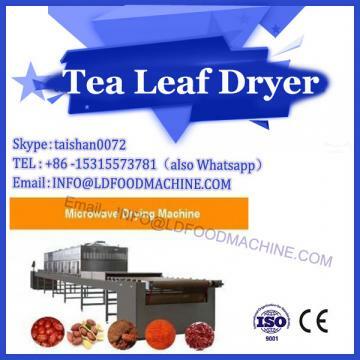 Vacuum freeze-drying technology can retain food flavors and nutrients to a large extent, and the products have the advantages of good solubility and high quality. It has been widely used in solid beverages, but there are still some problems. For example, the solid beverage prepared by vacuum freeze-drying has low hardness and small shrinkage, which is not conducive to storage and transportation; long drying time and high energy consumption, and limited vacuum freeze-drying for a wide range of applications. At present, vacuum freeze drying is combined with other drying methods to solve problems such as hardness and shrinkage of the product. If vacuum freeze drying technology is widely used, it is necessary to conduct in-depth research on drying equipment and production process parameters. Under the advocacy of “medicine and food homology” and the background of Chinese medicine foodization, functional health drinks such as hawthorn, lotus leaf and Ophiopogon have been continuously developed. The use of vacuum freeze-drying technology to make such functional health drinks into solid beverages not only solves the problem of seasonality of raw materials, but also has the advantages of maintaining effective ingredients and saving transportation costs. With the continuous research of technology and technology, the "medicine and food homologous" freeze-dried powder will have broad development space and market prospects.